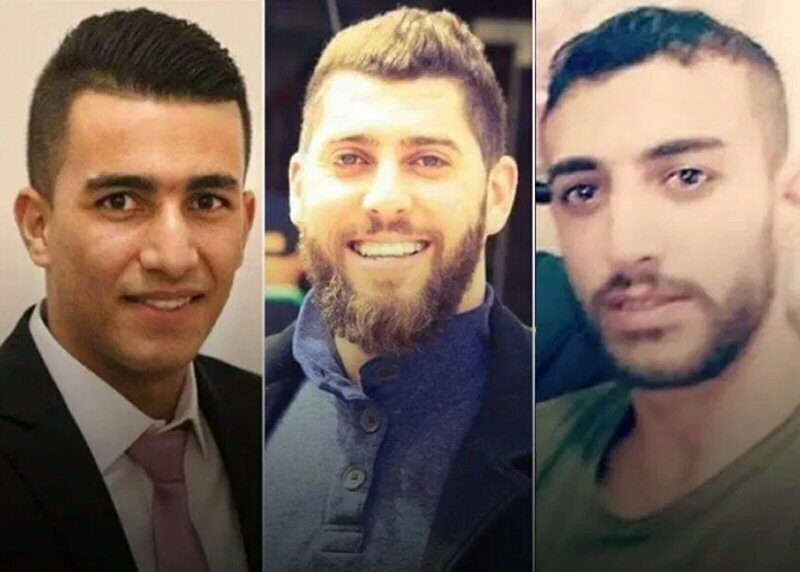 On 13 December, 2018, Israeli occupation forces shot down four Palestinians, including several resistance fighters who had evaded their pursuit for months. Ashraf Na’alwa, 23, was killed by occupation forces who attacked the home where he was staying in Askar refugee camp near Nablus. He had been pursued by occupation forces since he carried out an armed resistance operation on 7 October in the illegal colonial settlement of Barkan in the northern West Bank of occupied Palestine in which two settlers were killed. The extrajudicial execution of Ashraf Na’alwa did not come alone today. Saleh Omar Barghouthi, 29, the son of former Palestinian prisoner Omar Barghouthi, who served 25 years in Israeli prisons, was shot dead near the village of Sarda near Ramallah. Barghouthi, from Kobar village, carried out an armed resistance action at Ofra illegal colonial settlement on Sunday, 9 December, wounding seven settlers. Occupation forces attacked the his taxi he drove, seized him and shot him dead, according to Palestinian witnesses at the scene. Also on Thursday morning, Israeli occupation forces in Jerusalem shot Majd Mteir, 26, a Palestinian refugee from Qalandia camp, ten to twelve times in a row. Witnesses said that Mteir was left lying on the ground bleeding for 40 minutes before his death. Occupation forces accused him of attempting to stab Israeli armed “border police” in Jerusalem.